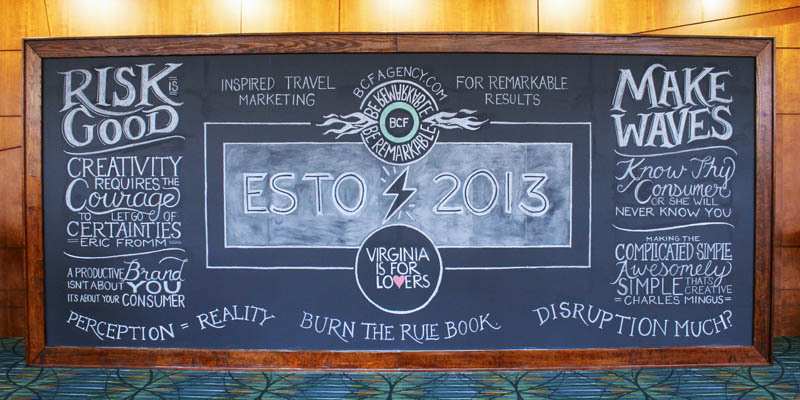 We worked with BCF, a travel and destination marketing agency, to compose this 10’x20’ chalk wall for the ESTO event in Richmond, Virginia. 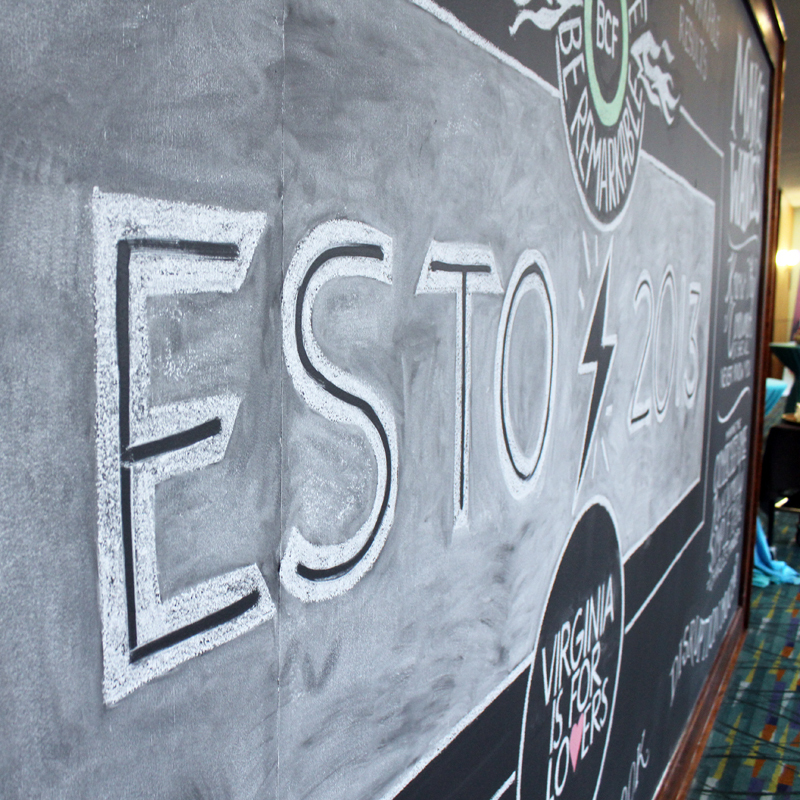 The ESTO is the U.S. Travel Association’s Educational Seminar for Tourism Organizations. 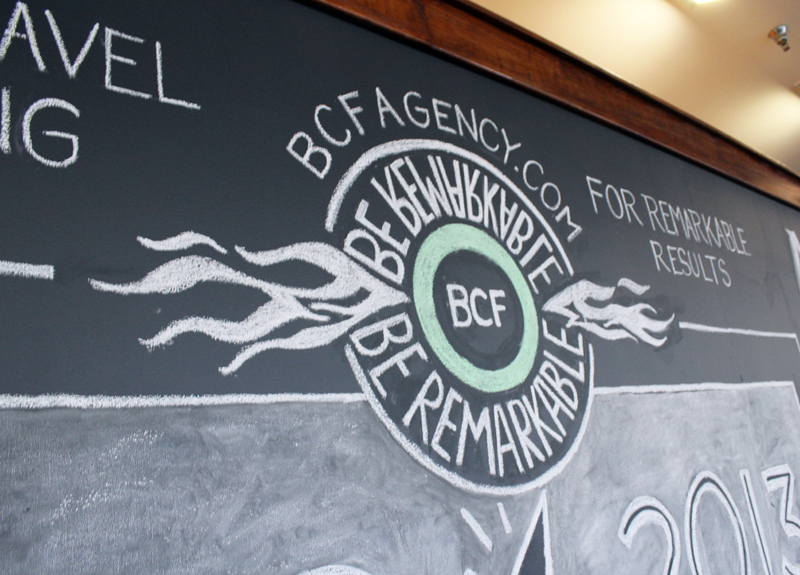 BCF already had a layout for the wall that they wanted to recreate. 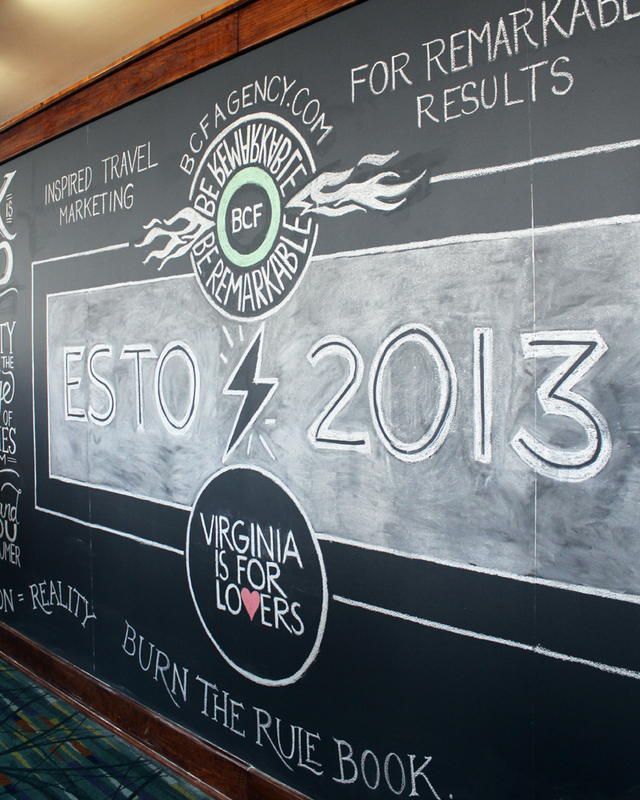 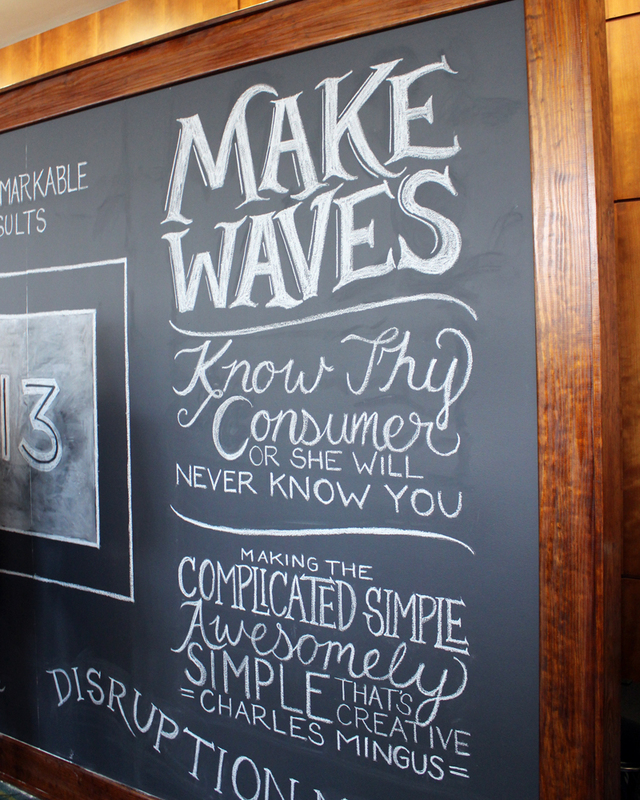 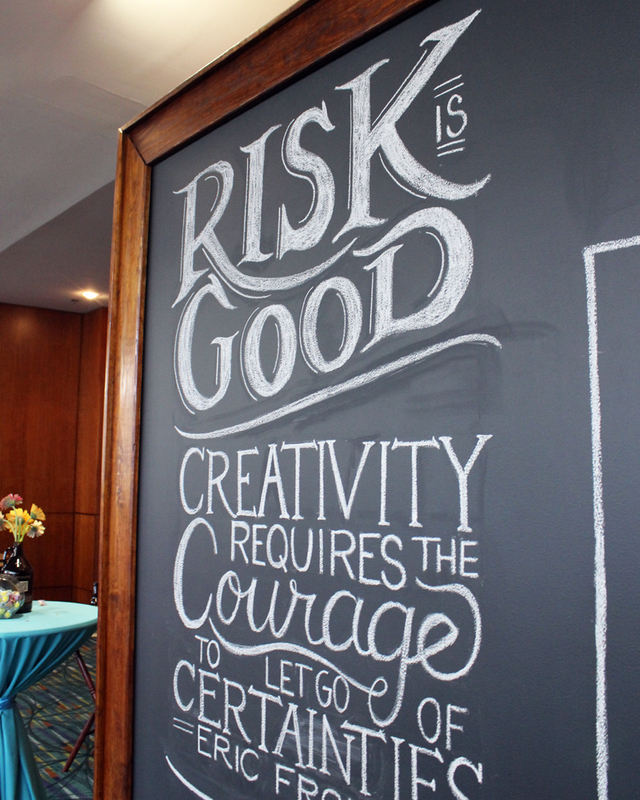 We were delighted to work on this giant chalk wall and flex our typographic creativity with most of the text.